No other smart Phone in the world makes the crowd happy compared to Apple iPhone. Every single upgrade of iPhone is whetting the appetite of smart Phone users across the world.They have shiny styles, futuristic touchscreen display, powerful internet access, advanced HD camera, and many other attributes to attract people. Though they are too much expensive, they have great resale value. So, you should sell your iPhone if you are bored with your iPhone or it gets damaged and now is beyond repair. Obviously, selling iPhone makes you money that you can invest in your new handset or meet any other need. Well, “where should you sell it” is a crucial question that needs your consideration. The answer is quite simple; mobile phone recycling companies. Why Is It Good to Sell iPhone to Mobile Phone Recycling Companies? These days, mobile phone recycling is big; ever-growing numbers of people are coming to recognize the benefits of recycling their old mobile phones. There is a greater awareness that simply tossing phones with the daily household trash has enduring consequences for the environment as they contain harmful materials such as cadmium, barium, selenium, chromium, lead, mercury, antimony, beryllium, and non-degradable plastics. Big thanks to mobile phone recycling companies that have come into existence to introduce an Eco-friendly way of disposing of old phones. They offer free recycling services online to promote Green environment. They collect old unwanted phones of all brands and recycle them in a safe manner as the mobile junk is hazardous not only for the environment but also for human beings. Therefore, instead of putting old mobile phones into drawers/cupboards or throwing them into rubbish, you should sell them. Along with playing a role in reducing air pollution, you can also fetch some money by selling your old phones to a recycling company. Even, you can turn a faulty or broken iPhone into cash as recycling firms accept all kinds of phones in any condition. Furthermore, recycling companies serve their customers in the comfort of their homes by providing them free postage and online payment facilities. You can usually get paid the same day when the recycler receives, checks, and approves your mobile. This is why you should prefer online recycling firms to sell your iPhone. How to Find the Best Recycling Company to Get the Great Value of an Old iPhone? In the present age, a lot of mobile phone recycling companies are available on the internet to offer recycling services across the UK. The phone prices and terms and conditions vary from one recycler to another. And of course, it’s fairly a daunting task to confirm that which one is perfectly authentic and offer a fair and excellent recycling service. Hence, to find the right one, it is advised that you should make a comparison among numerous top-rated recycling companies. It will help you find a recycling firm that will pay you the greatest price for your old iPhone without any trouble. If you compare different recycling websites on your own, you will realize that it’s a time and energy-consuming task. You will have to browse each phone recycling website one by one to know their offerings, and the chances are that they change their prices with the passage of time, thus, you can experience some difficulties in finding the topmost price for your phone. 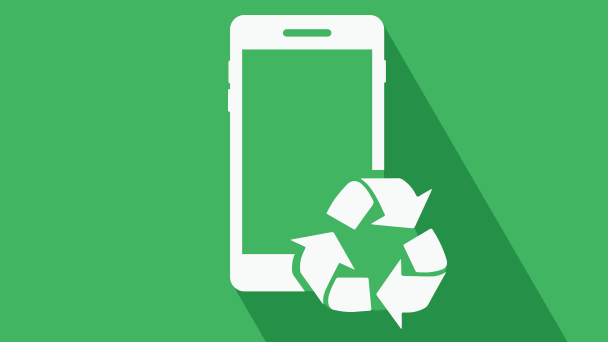 So How to Compare All Top Phone Recycling Websites? All you need to do is use a mobile phone recycling comparison website. What these websites do is tell you the exclusive deals for your make and model of phone. Using the advanced price comparison tool, they reveal the prices from each top-rated phone recycling websites. Just enter your make and model of the phone for a quote and discover who’s paying out the most money for it. You’ll be ready to make the best preference and grab the most money for your iPhone by using a comparison website as well as reading the differences where they differ. Most of the people just go forward and make use of the very first mobile recycling company they find from their research work online. Not realizing they could generate a lot more cash if they had simply visited another company or compared prices first considering a phone recycling comparison website. Therefore, it may well make sense for you to use the comparison website firstly yourself, keeping in mind how it can save you time and help you minimize all hassles. However, approaching a reliable comparison website is a good thing to do if you want to get the maximum benefits of mobile phone recycling. So if you are thinking of selling your iPhone, it’s a great decision to clean up and clear out your old things. By doing this, you will get cash for it and also help the environment at the same time. Sell iPhone to a mobile phone recycling website. But compare the prices using top-rated comparison sites first to ensure you make the right choice for you and get the most money for your phone. 3D-printed live bacteria creates world's first "living tattoo"